Are you ready to say I do? 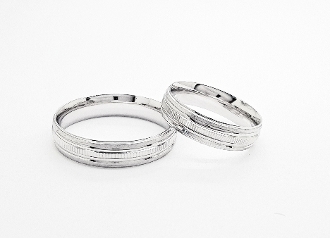 These sterling silver rings have a high polish pattern with brushed trim to create a beautiful simplistic piece of jewelry while keeping its classic and romantic look. You cannot go wrong with these stunning handcrafted wedding bands! Make these rings even more sentimental by choosing the engrave option. These bands are available in both his & hers sizes!